Gordon Ito, the insurance commissioner of the state of Hawaii, has appointed Andrew Kurata (pictured) as deputy commissioner and captive insurance administrator. 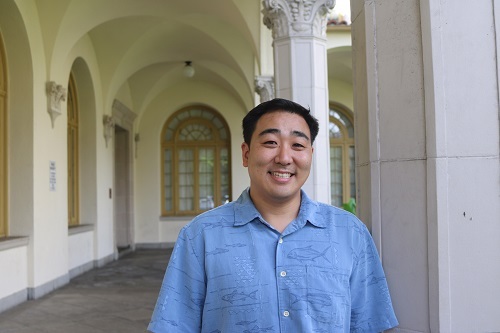 Kurata will be part of the Department of Commerce and Consumer Affairs Insurance Division; as deputy commissioner and captive insurance administrator, he will oversee the regulation of all captives licensed in Hawaii. His roles include “monitoring for regulatory compliance, reviewing filings, coordinating on-site examinations, and promoting the growth and development of the captive insurance industry,” an official release detailed. Previously, Kurata held the position in an acting capacity. He has been a part of the insurance division since 2011, initially as a captive insurance examiner and captive insurance program specialist. Prior to joining the agency, he was part of KMH LLP’s audit department. “Andrew has been a dedicated and important part of our experienced staff in providing a stable, committed and business-friendly environment that makes Hawaii one of the premiere domiciles in the world. The insurance division will benefit from his leadership and look forward to the continued success of our captive insurance industry,” commented Ito in a statement. “I’m honored to be appointed the captive insurance administrator and look forward to being a part of the continued growth and success of our domicile. The captive insurance branch will continue to provide prudent regulatory oversight while forming collaborative partnerships with captive owners and service providers to achieve risk management objectives,” commented Kurata. As of December 2017, there were 230 actively licensed captive insurance companies domiciled in Hawaii, with aggregate premium writing over $7.3 billion. This has generated more than $26.3 million in economic benefits for the state of Hawaii, an official release from the Department of Commerce and Consumer Affairs said.